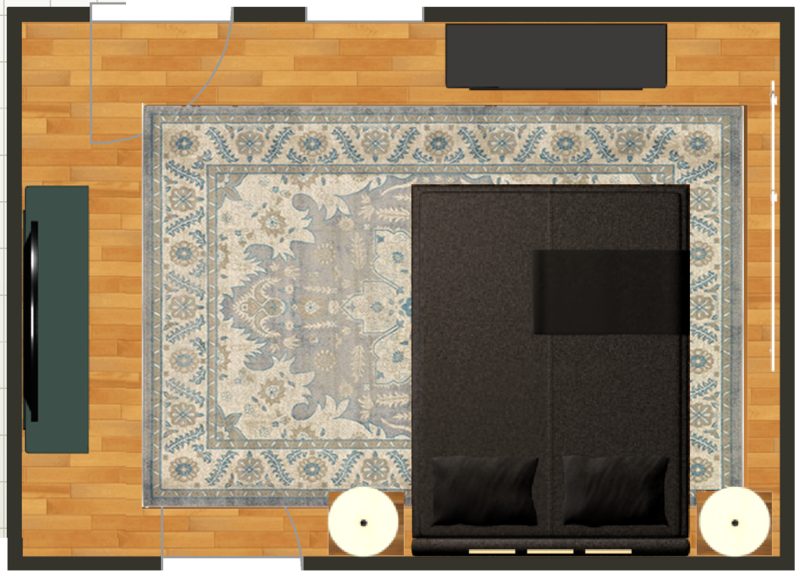 I've proposed two different layouts. The first layout has the bench and art print on the left wall. This is if you don't need more clothing storage. 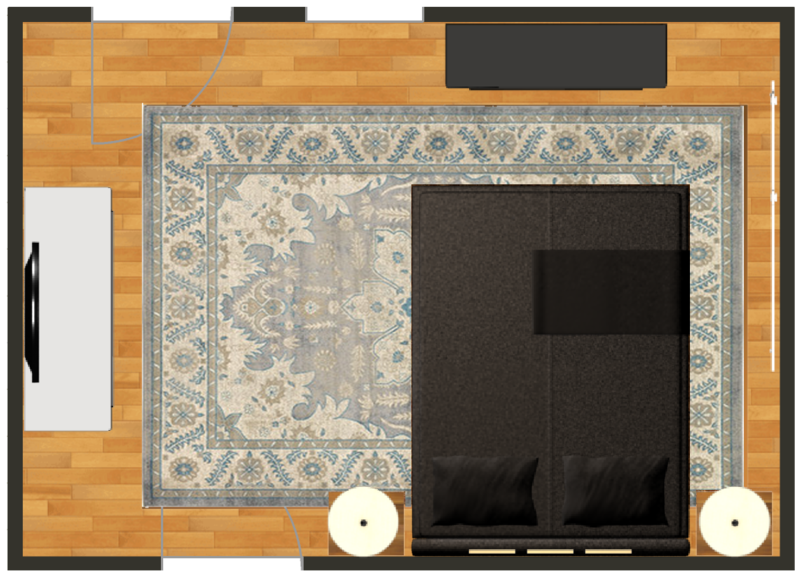 The second layout below, replaces the bench with a dresser and mirror for more storage.